The secret of our product quality, which passes from one generation to another, is based primarily upon the natural fermentation of pure greek ingredients. 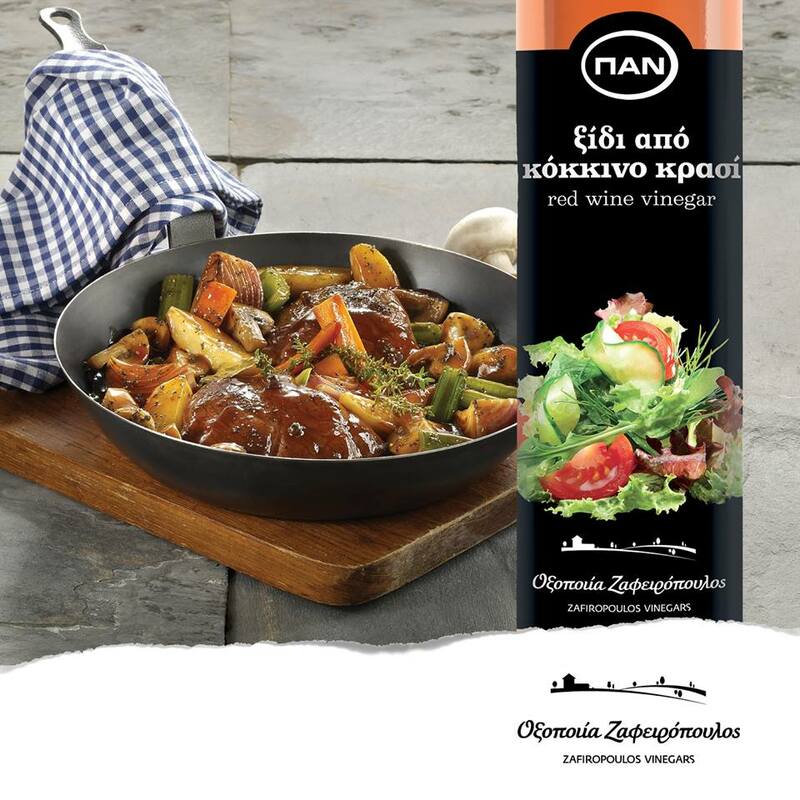 Zafiropoulos Vinegars produces, bottles and distributes the Pan series of products for almost half a century, to the greek and worldwide market. During the last 30 years Zafiropoulos Vinegars operates from its plant in Pikermi Attica, next to the traditional vineyards. 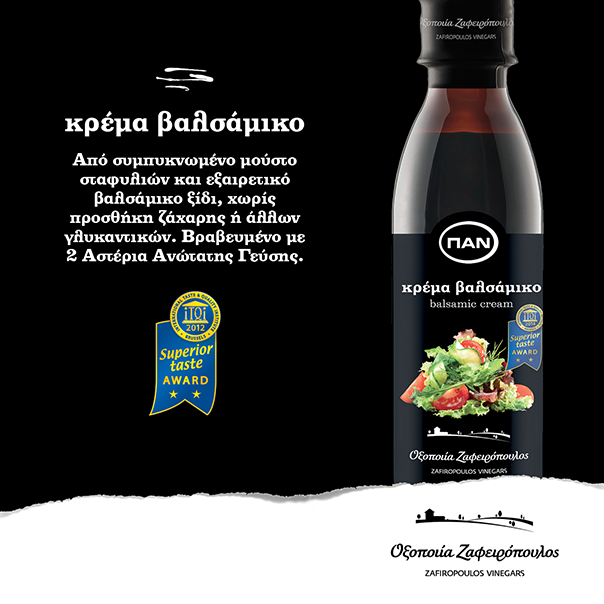 The distinguished vinegar is produced from Greek wines, through a vertically organized production process which is based on four independent production lines, providing vast possibilities for the coverage of a large variety of products.